Welcome to our library of iNform Health and Fitness Solutions articles. We hope you find them helpful and we encourage you to share them among your friends and your social media friends, so we can all help people become more “informed” about their health and fitness from an evidence base. Three Reasons Why You Should Exercise With An Expert. When Will You Decide to Become Health Focused? Running can take lots of different forms. Here is a list of my 5 favourite ways to run and where I like to do them around South Australia. Do you have a balanced exercise-diet? To get the best results from the time you invest into exercise, you need challenge the ten domains of fitness. This is how you can do it. iNform’s ‘No Snowflake Policy’ – a response to a new Western cultural phenomenon. Exercise and Depression: 5 Tips to Move Your Mood! Beliefs and Health Outcomes – Are your beliefs holding you back?! Exercise and Pregnancy: of CORE-se you should! How does the brain deal with pain? Exercise and chemotherapy: 7 key reasons why they should go hand in hand! Exercise was my last resort! 3 Ways to Create the Motivation to Exercise! My top 6 green and blue places around Adelaide YOU should explore this weekend! A 4-Step process to maintain behaviour change when you don’t feel like it! Exercise and gut health: The benefits may be greater than we think! Links between Exercise, Mood and Stress – How Moving Your Body, Helps Move Your Mood. Exercise in Green spaces for your Health. Explore and go a little wild! Exercise in or around water makes you healthier and happier in body and mind! Do New Year’s Resolutions fail because they don’t have real value? Determined to make healthy choices? Resist pressures around you! What’s your plan to survive Christmas? Exercises to burn more calories over christmas – resist the momentum against you!! Running and Ultra-Marathon: Is your brain up to the challenge? You Can Run! 3 Easy Tips for a beginner runner! Do you want to enjoy your retirement? Is there such thing as perfect technique? Trepidation: Should we be using more than just medicine to help treat depression? Cancer related fatigue: Does exercise help or hinder? What is your motivation: Should we look inside or out? Granny arms, big bellies, rotund behinds…. Can we choose where to lose our fat from? From 0-to-1000km: Mobility for cyclists to keep you riding longer! Exercise and cancer: Move it or lose it! Do you use your World Gym? Can AFLW, WBBL and W-League influence women’s health? Should you include sit-ups and crunches in your training? FROM 0-TO-1000KM: The Value of COMMUTING while the TDU is on! Neurotrophins: Fertilisers for your brain! Is ageing just an accumulation of habits? what are you accumulating?? Move Well to Move More to better Health! The genius is in the order! Don’t run any more? Who do you think you are? Don’t Run to get fit – don’t run to lose weight! Need motivation to move? Woof Woof! When the Grim Reaper comes looking, where will you be? Good luck with your run- don’t forget the fun! Health as a currency of the future – Are you investing wisely? What can the Olympics teach us about ageing well? Bones – Do we care for them as much as we should? Pain, immunity and your well being! What does your sleep say about your health? AM vs. PM: Is it better to exercise in the morning or evening? Increased Retirement Age – Will you carry your strength into retirement? Can we really create sustainable change? People watching: do you have enough strength?? Mastering Gravity (Part 2): How do you improve your balance? 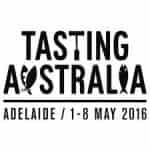 Tasting Australia? Try tasting your lunch first! Stressed out? Mindful exercising may be your cure! Hypermobility: Are you a one trick wonder? Exercise and Pregnancy: Should you train for Labour? Can a S.M.A.R.T dog learn new tricks? High Intensity Interval Training: So why all the hype? Paleo Diet vs Dietary Guidelines: What are we missing out on? Paleo vs Dietary Guidelines: How do paleolithic diets stack up against more standard fare? Man vs. Horse: Two runners, one winner. Who will it be? RunStrong- The blog about Black Caviar’s Arse……..
Life after Military Service: What does it mean for your health? RunStrong- Get rid of ITB pain for good! Is Technology Giving you a Sore Neck? Surviving Easter: tips to successfully crossing over from summer to winter health! Exercise for the Risk Averse: choose to be active! Have you got a baseline?? We stand upon the foundations we built…..
Do you do a pre-season? To Exercise or not, is it worth the risk? Build a bigger brain through exercise!